This variety is accepted, and its native range is SE. Arizona to SW. New Mexico and N. Mexico. 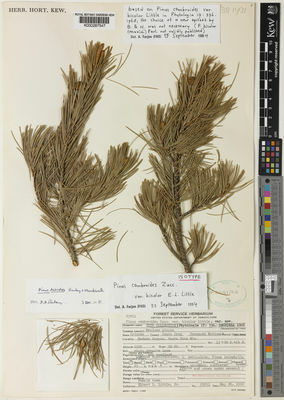 Pinus culminicola var. bicolor (Little) Eckenw.